FILE PHOTO: Senator Elizabeth Warren (D-MA) addresses the audience at the morning plenary session at the Netroots Nation conference for political progressives in Atlanta, Georgia, U.S. August 12, 2017. WASHINGTON - U.S. Senator Elizabeth Warren said on Friday she has begun an investigation into Equifax’s massive data breach and, along with 11 other Democratic senators, will introduce a bill to give consumers the ability to freeze their credit for free. Warren, who has built a reputation as a champion of consumers and often challenges the finance industry, also wrote letters to Equifax and its rival credit monitoring agencies TransUnion and Experian, federal regulators, and the Government Accountability Office for information to see if new federal legislation was needed to protect consumers. “I am troubled by this attack - described as ‘one of the largest risks to personally sensitive information in recent years’ - and by the fact that it represents the third recent instance of a data breach of Equifax or its subsidiaries that has endangered American’s personal information,” she wrote in a letter to Equifax chairman and chief executive Richard Smith. Warren, the top Democrat on the Senate Subcommittee for Financial Institutions and Consumer Protection, said the proposed bill would stop companies like Equifax from charging consumers for freezing and unfreezing access to their credit files. A credit freeze restricts access to an individual’s credit report, which can stop account fraud when thieves apply for credit using another person’s information. Equifax, which creates individual credit reports used by lenders to assess a consumer’s creditworthiness, has come under intense pressure from senators and members of the House in recent days for what has been described as a slow, inadequate and confusing response to the hack. Investors have dumped its stock as a result, driving it down 32 percent since the company disclosed the hack on Sept. 7. 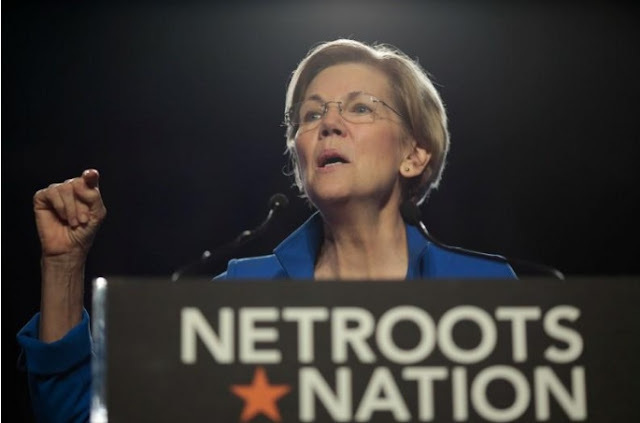 The attention from Senator Warren and potential legislative action increases the chances the data leak could lead to broader industry changes and increased regulatory scrutiny longer term. Equifax, which disclosed the breach more than a month after it learned of it on July 29, said at the time that thieves may have stolen the personal information of 143 million Americans in one of the largest hacks ever. In her letters to the regulatory agencies, Warren also raised questions regarding the overall regulatory framework for credit report agencies, which are not subject to the same levels of intense scrutiny as consumer financial firms such as mortgage lenders or credit card providers, raising the prospect they could become more tightly supervised in future. The Consumer Financial Protection Bureau (CFPB), the country’s top consumer watchdog created in the wake of the 2007-08 global financial crisis, provides some oversight of credit reporting agencies. It brought enforcement actions against Equifax and TransUnion earlier this year for misstating the cost and usefulness of the scores they provide, but it does not intensively monitor the companies. In her letter to the CFPB, which is under attack by Republicans who believe it is already too powerful, Warren asked if the agency has ‘adequate statutory authority to regulate credit reporting agencies and protect consumers” and solicited the CFPB’s feedback on what other powers it might require to better regulate them. At least three bills were introduced on Thursday in response to the hack. Four Democratic senators, including Ed Markey of Massachusetts, sponsored legislation that would require Equifax and other data brokers be held accountable for errors. U.S. Senator Elizabeth Warren said on Friday she has begun an investigation into Equifax’s massive data breach and, along with 11 other Democratic senators, will introduce a bill to give consumers the ability to freeze their credit for free.